This may be the end of the Caged Trilogy but Caged-Released is my favorite book of them all! A fantastic end to a series that is so well written and researched that one can’t help but wonder if the circumstances have been based off of personal life situations. Whatever the case is, Shay Savage has solidified her spot in producing one of the rawest, thought provoking, darkest, unapologetic love stories that isn’t just about the love between one man and one girl. It’s a love story about the ramifications a family must endure when the actions of words hurt more than any physical punch can produce. A love story of when the most horrific circumstance happens that one can’t possibly conjure it up and yet I read it. Caged-Released is a story of a man who uses his fists to break away from the PTSD he doesn’t realize he has. Words written that will take every reader down an ally into a drug binge so cruel that it’s sure to hurt you while reading. There are so many deep and dark things that happen in this book that I really questioned if I was ever going to see any light or any redemption at the end of the page. I did, however, the roller coaster ride of emotions I had to endure to get there was exhausting, but in a good way. In the way that I love! The feels in this book are on every spectrum that at times you can be in the darkest corner but the most sarcastic one liner would pop up and I would be laughing out loud. Wow. Just sitting here thinking back on the journey I have been on in this trilogy and especially in this book I come to wonder how these three books are the very first time I have read Shay Savage! Her writing style is quite descriptive and the words just jump off the page. There is so much going on in the plot that it feels like you’ve been reading for days, and not in the way some books are when the story just drags and you’re poking your eyes out to just finish it. Released keeps you on your toes while guiding you right along making you fight your own battles of not falling for the bad guy. Who really isn’t bad at all, but damaged, and how the love for a woman can help break him free. The Caged Series is nothing short of Brilliance and one that should be on everyone’s shelf. 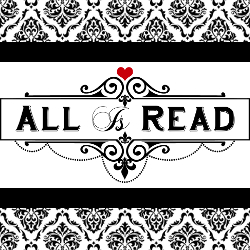 ***Blogger note- I was given an advanced readers copy in exchange for my honest experience.